Once a low-volume rally-car lookalike for street use, the Subaru WRX STI has morphed into a very important part of Subaru’s car business. In case you’ve been away from the Subaru news a while, we'll tell you first that the WRX STI is now available only in a sedan body style, but it still uses the famous 2.5-liter turbo. The lesser WRX trims now have a different, 2.0-liter turbo engine. We will focus in this preview on just the 2016 WRX STI. Please see our coverage of the WRX as a separate model. The original Subaru WRX STI was derived from the economy-car Impreza, but the list of shared components shrinks every year. At this point, the 2016 STI has evolved into its own unique version of the WRX compact sedan. It is a barely disguised road racer, and its following is large, vocal, and passionate. Its archrival, the Mitsubishi Lancer Evolution, is planning to retire soon, so more attention will be paid to the STI as time goes on. We hope the departure of its closest competitor won’t mean the STI will lose its edge going forward. One important change to the STI for 2016 is to its body styling. Updated just a year ago to be wider and a bit more menacing, the news this year is that you don’t have to get the ginormous spoiler on a new STI anymore. Some like the huge wing; others don’t. For those who think it's a little ridiculous and fear it might act as a cue to local police forces that their ticket quota is a little light this month, Subaru now offers a more streamlined and subtle wing, and there's no charge to get it. There are many who want an STI but prefer not to advertise its capability so loudly, and this is for them. The STI is defined by its 305-hp 2.5-liter 4-cylinder turbocharged and intercooled engine. Of course the pistons still “box,” meaning they are horizontally opposed, instead of "inline," as they are in almost every other 4-cylinder car. The enables the STI to have a lower center of mass for better chassis balance and a lower hood. Only a race-reinforced 6-speed manual transmission is offered for the STI. No continuously variable automatic transmission is offered (as it is for the WRX). With “just” 305 hp, the STI is no longer as much of a standout as it once was, but unlike many of its peers, the STI can put every one of those ponies to work through its advanced all-wheel-drive system. The AWD in the Subaru STI does more than get you started in snow. This system can vector the torque delivered to the rear wheels to help rotate the vehicle in turns. The STI also has multi-mode vehicle dynamics control and Brembo Super ABS brakes. These buzzwords are hints that you can lower the sensitivity of the built-in driver nannies so you can toss your STI around in the mud without the engine spark being retarded and cutting power. This is important if one wants to emulate World Rally Champions. The STI also includes driver-selectable drive modes. Called Subaru Intelligent Drive (SI-Drive), the three-mode system allows the driver to turn a rotary dial to choose between Intelligent, Sport, and Sport Sharp. These modes adjust the car’s engine-management software and throttle sensitivity to enhance the driving experience for different driving scenarios, such as back-roads cruising, aggressive driving, and track racing. All 2016 Subaru STIs now come with a reversing camera. The winter package is also included and features not just heated seats, but also heated exterior mirrors and windshield-wiper de-icing. One thing a 2016 STI cannot come with that the WRX can is Subaru’s excellent Eyesight forward-collision prevention system. According to a Subaru representative we spoke to, Subaru is having trouble keeping up with the demand for Eyesight, so it's limiting it to where it feels it won’t be missed. On the top-trim STI, blind-spot monitoring and rear cross-traffic alerts are available. The 2016 Subaru STI comes in two trims. The base version is expected to start at about $34,695, which is $300 more than the 2015 model. It offers one options package, the $2,600 GPS/Harman Kardon infotainment upgrade. The 2016 STI Limited will start at about $39,995 and includes the upgraded infotainment system as well as leather and microfiber suede seat and interior trim. The 2016 Subaru WRX STI continues a long tradition of high-performance real-world ability at a price most can afford. Dealers should have inventory in late summer 2015. 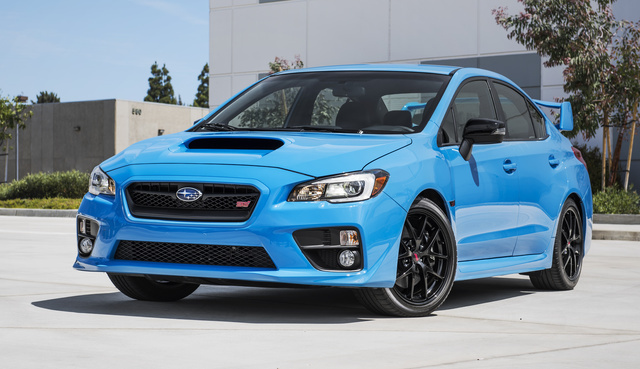 What's your take on the 2016 Subaru WRX STI? 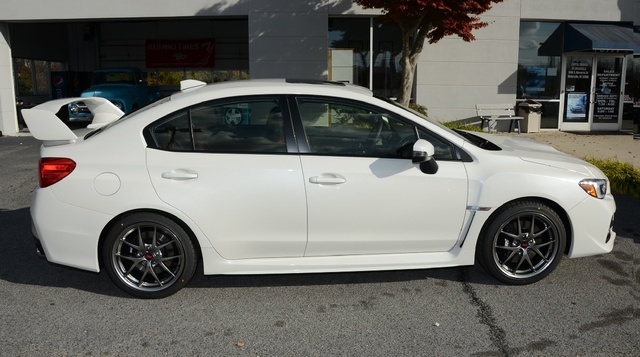 Have you driven a 2016 Subaru WRX STI? How do I relist my car? How can i delete my listing, i mean i was log in to sell my car and i want to delete ot now.